Краткое описание: 2 in 1 game. 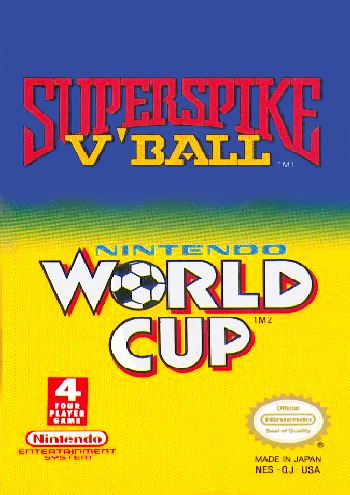 Super Spike V'Ball / Nintendo World Cup was a pack-in game included with the Nintendo Entertainment System Sports Set. The package included a standard NES console, four game controllers, and the Four Score Multiplayer Adapter. 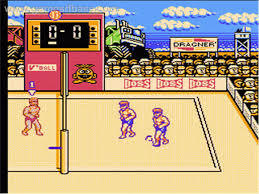 The cart included two games developed by Technos: # Super Spike V'Ball, a two-on-two beach volleyball game where you played on a tournament, ending with the world championship. The game supported up to four players on one match at a time; # Nintendo World Cup, a soccer game where you (and a friend) chose to represent a team and played several matches until you won the World Cup. The game featured little to no rules, which means that you could hit your opponents as much as you want, without fear of the Ref getting in the way. Both games were compatible with the included Four Score NES multiplayer adapter. 2 in 1 game. 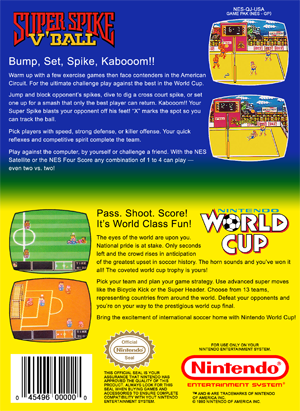 Super Spike V'Ball / Nintendo World Cup was a pack-in game included with the Nintendo Entertainment System Sports Set. The package included a standard NES console, four game controllers, and the Four Score Multiplayer Adapter. 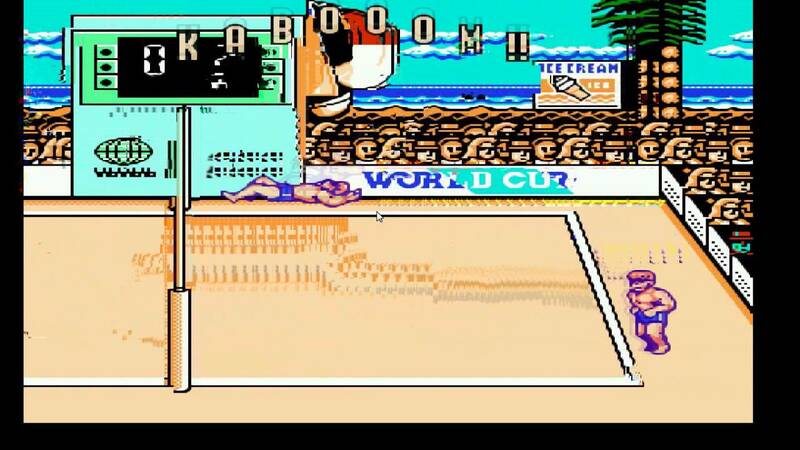 The cart included two games developed by Technos: # Super Spike V'Ball, a two-on-two beach volleyball game where you played on a tournament, ending with the world championship. The game supported up to four players on one match at a time; # Nintendo World Cup, a soccer game where you (and a friend) chose to represent a team and played several matches until you won the World Cup. The game featured little to no rules, which means that you could hit your opponents as much as you want, without fear of the Ref getting in the way. Both games were compatible with the included Four Score NES multiplayer adapter.